As the author of more than 100 books for adults and children, James Haskins built a literary legacy that is breathtaking. If his name doesn’t ring a bell, it should; He won the Coretta Scott King award for his biography, The Story of Stevie Wonder, in 1976, and went on to win several more CSK honours. Born at home September 19, 1941, in rural, segregated Demopolis, Alabama, to parents who did not attend high school but “fostered a love of books and of reading” in their son’s life, Haskins had a thirst for literature. Because the public library did not admit Black people, his mother bought encyclopedias, one at a time, from the local supermarket, and brought them home to her son. A White woman who knew his mother also began to check out library books for Jim to read. In his segregated school, where textbooks were out of date and inaccurate, the need for the story of the Black experience to be shared was painfully evident, and when Haskins went to the prestigious Boston Latin School, he took to heart lessons in activism, and responsible dissent. As a student at Alabama State University in Alabama, Haskins contacted Dr. Martin Luther King, Jr. and worked with the leaders of the Civil Rights Movement in protests against segregation. For his work toward justice, Haskins was expelled from Alabama State. He went on to complete his Bachelor’s degree at Georgetown University, then went back to Alabama State for another bachelor’s degree, and followed that with a Master’s degree from the University of New Mexico in Albuquerque. Haskins went on to work as a stockbroker, and then a teacher in Harlem, NY. 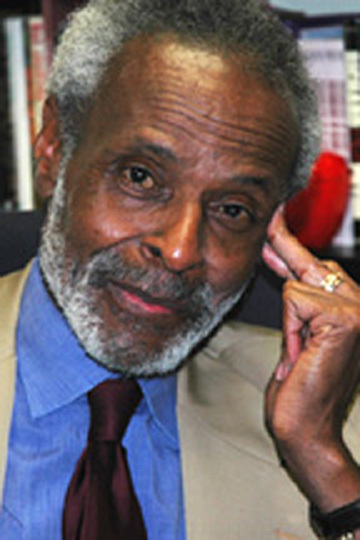 His teaching experiences led to his first published book, Diary of a Harlem School Teacher (1969). In addition to the CSK awards and honours, Haskins was also awarded the Carter G. Woodson Award for young adult non-fiction for his books Black Music in America, The March on Washington, and Carter G. Woodson: The Man Who Put “Black” in American History. His Count Your Way series (on the Arab World, China, Japan, Russia) won the Alabama Library Association Award for best work for children in 1988, and in 1994, he was presented the Washington Post Children’s Book Guild Award for a body of work in nonfiction for young people. Haskins went on to write and teach in a dazzling array of capacities, including a stint as guest curator for the Smithsonian Institutions Traveling Exhibition Services, general editor of the Hippocrene African Language Dictionaries series and the John Wiley & Sons’ Black Stars series, and a member of the board of the legendray Black history magazine Footsteps, published by Cobblestone Press. Professor Haskins served on the faculty of the Department of English at the University of Florida; the African-American Studies Program has established a fellowship for visiting scholars in his name. Dr. James Haskins died on July 5, 2005, but this was a man on a lifelong mission to educate and enlighten the world, and his legacy as an author for all ages and historian lives on and shines bright.